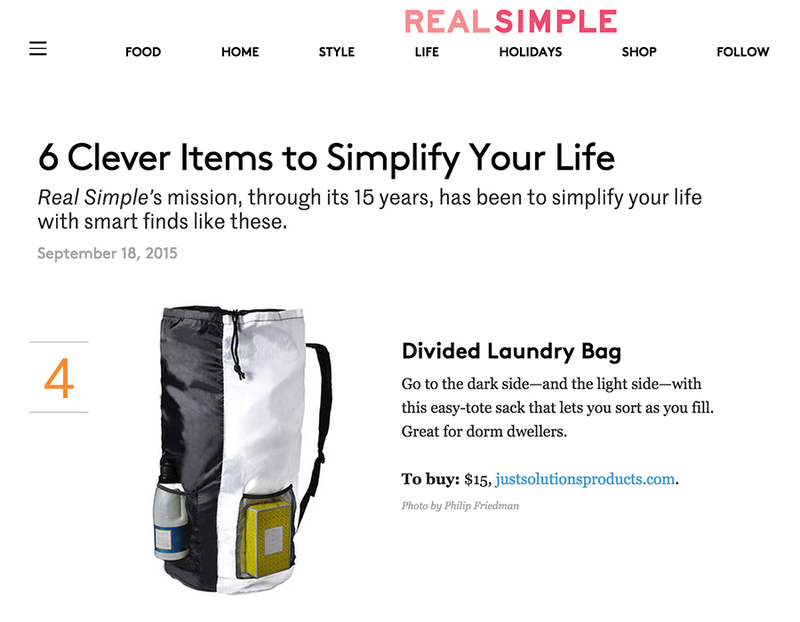 Congratulations to our Client Just Solutions for their feature in Real Simple! Sort, store and carry your laundry all at once with this laundry bag that features an internal divider that separates dark and light loads, dual fasteners for easy unloading, backpack straps for convenient transport and storage pockets for detergent, books and more. Check them out at justsolutionsproducts.com!